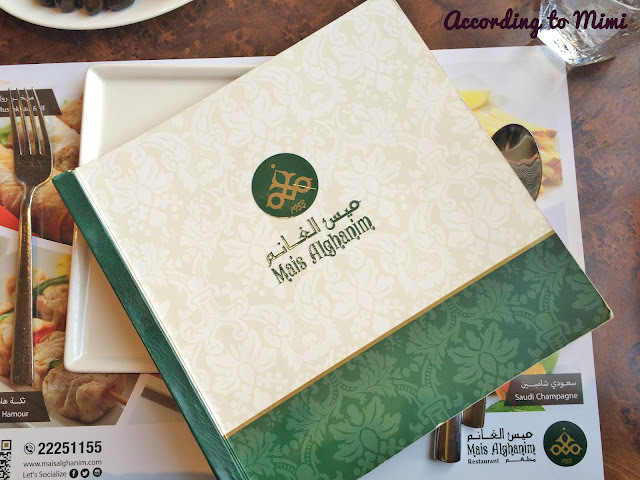 Driving by on the Gulf Road, I've always spotted the busy Mais Alghanim restaurant and wondered what the food would be like. Something about the size of the restaurant and how there are always throngs of dishdasha clad people waiting for the valet service made me think that the restaurant would be ridiculously overpriced and I never thought to try it. After all, when my local kebab shop serves tasty dishes, why would I want to fork over so much money for Arabic food right? 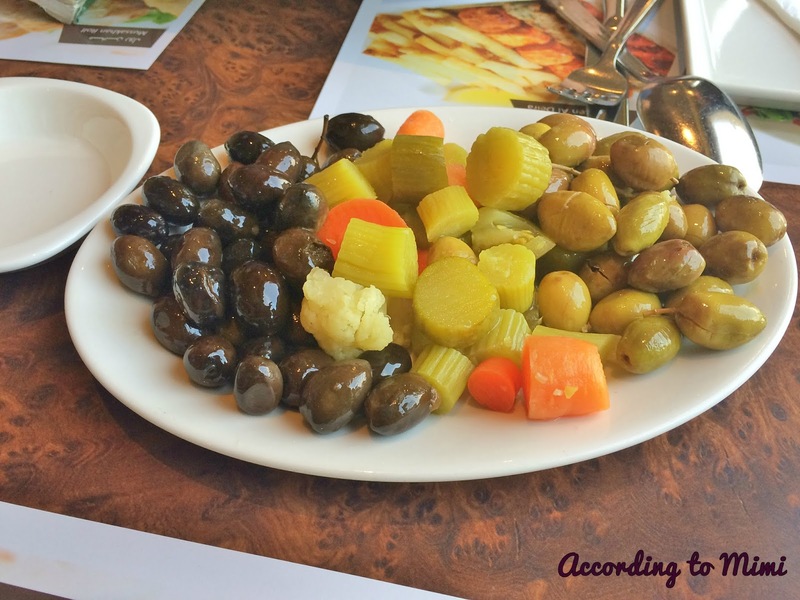 Though, recently I ordered from them through Talabat for a small party at work and was surprised at not only how delicious it was, but just how affordable it really was and immediately added it to my ever growing list of restaurants to try out. Come this Saturday when we were trying to figure out where to have lunch out, I finally got the chance to visit Mais Alghanim. The restaurant was busy as usual and after getting our valet ticket (free valet service by the way), we gave our name at the hostess desk and settled down to wait. Luckily, as most of the waiting guests were part of large groups, we got our table quite quickly and right in front of a window overlooking the Gulf Road and the beach. Beautiful! The menu is pretty simple and there are descriptions of every dish in case you feel lost. We kept our order simple and stuck to what we know and love. 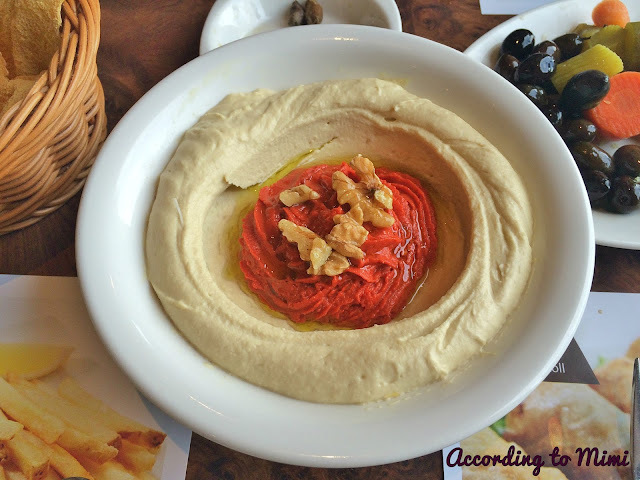 We ordered a plate of hummous with muhammara, which is basically hummous topped with a hot pepper paste and walnuts. I've never had this before and loved it. I tried the muhammara alone and wasn't very impressed, but mixed with the hummous, it was delicious and gave the hummous a very mild kick to it. I conveniently kept the hummous bowl right next to my plate so that I could keep dipping my fork into it. We also ordered the Skillet Tikka for our appetizer and by far this was the best dish of the day. 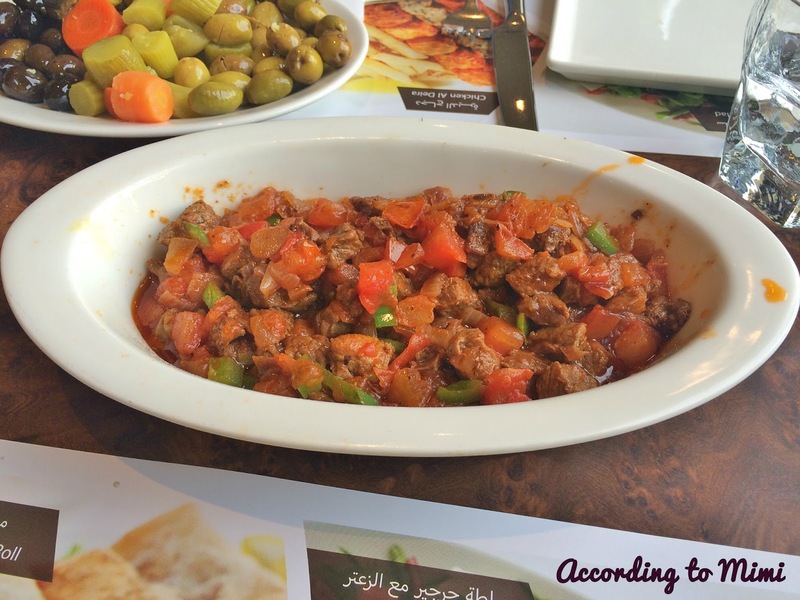 It consisted of tiny diced meat, bell peppers and onions in a tomato sauce. 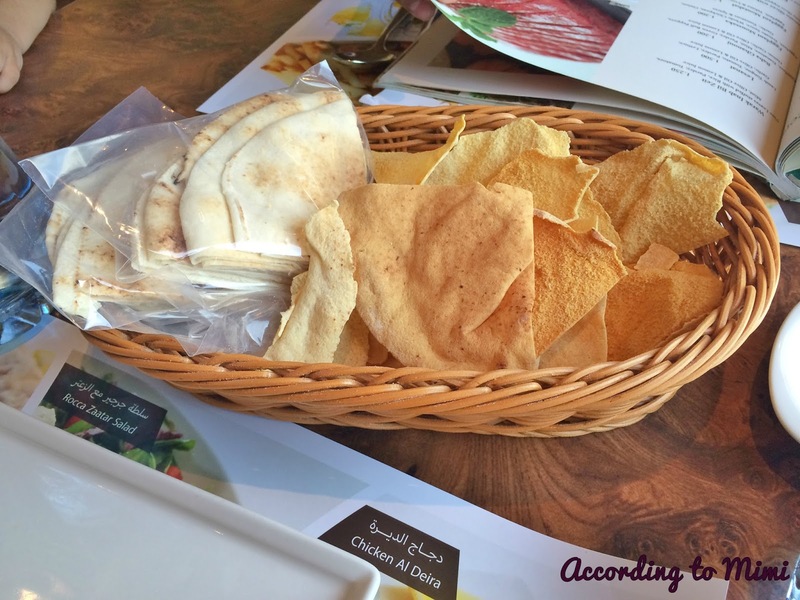 I loved the spices in the meal and it went beautifully with the soft kubboos from the bread basket and of course large mounds of the hummous! For our main, we had the Lamb Chops and the Kebab Kishkash. The lamb chops I will not be having again. They were tough, overdone and lacked seasoning. 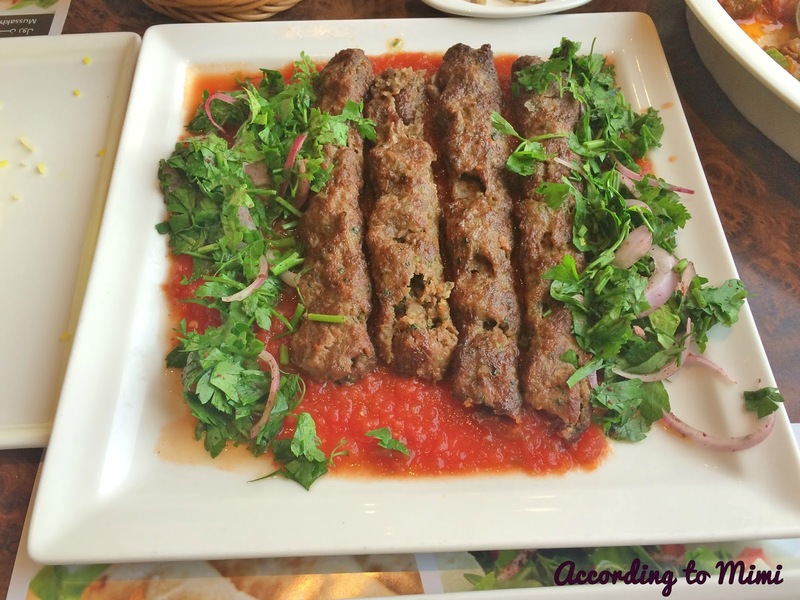 Kishkash is one of my favourite Arabic dishes and is basically kebabs placed on a bed of a rich tomato paste that has onions, garlic and other spices. Though I enjoyed it, the kishkash sadly wasn't as good as I expected and both Naz and Beit Dickson serve up a tastier and juicer kishkash. Overall an enjoyable meal and the service was quite fast until we asked for the bill. I guess there must be just one till printing bills for all the tables, which takes time. On a side note, did you know that Gulf Bank credit card holders get a 10% discount? The waiter told us this as we pulled out our card to pay and off he went to reprint the bill, which resulted in yet another long wait. 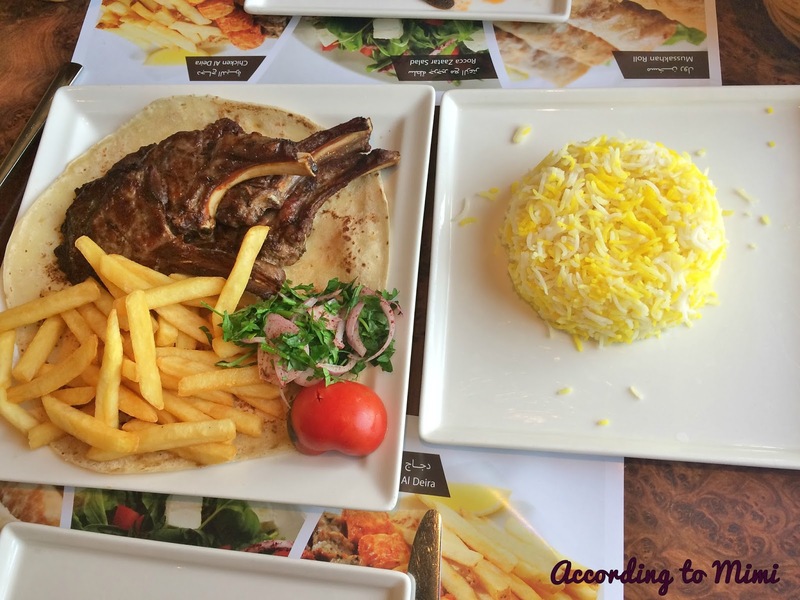 Our total bill was just 12.4 KD after discount, which is seriously great value for money! Loved the food and will definitely be back for more.